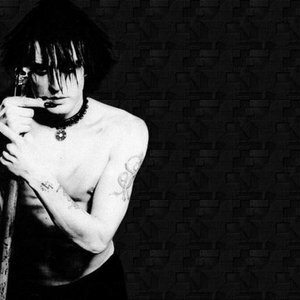 ohGr is a band formed by nivek ogre, of Skinny Puppy, and musician/engineer Mark Walk. Although the pedigree of the group's members might suggest otherwise, ohGr is not strictly an industrial group, as it draws from elements of synth-pop/electro-pop, metal, and even hip hop. Unlike Ogre's earlier Skinny Puppy work, ohGr has a more conventional structure to its music as well as a lighter tone, lyrically and musically. The band was officially formed in 2001, although the material for the first album, Welt dates back to the mid-nineties, having been held up due to legal trouble with American Records. The first work produced by the band was actually the soundtrack for the computer game 'Descent II', but it was a number of years before their first album was released. Welt was originally the title of the group, a long standing acronym from early Skinny Puppy years when, shortly after Bill Leeb (of Front Line Assembly) left the band, Ogre graffitied "Wilhelm Eats Lunch Today" around Vancouver due to their then-acrimonious split. It was then refined to the less antagonistic "When Everyone Learns Truth". It was later discovered that in the interval, the name had been taken by a Californian punk band. ohGr's third album titled Devils In My Details was released on October 17th, 2008 in Germany, October 20th in the United Kingdom, and October 21st in the United States. ohGr toured in support of the album release during the autumn of 2008. At Comic-Con 2008, Ogre announced that Bill Moseley will be contributing to the new ohGr album, as a result of them becoming friends through Repo! The Genetic Opera. It was tentatively revealed in a chat with the band that an album of B-sides from Devils in my Details (entitled "D-Sides") and an album of unreleased material from the 1990s (entitled "Dfault") was due to be released. In October 2009 a link to www.wdihtf.com appeared on Skinny Puppy's website. When users sign up to the mailing list they receive a link to the song COLLIDOSKOPE which starts with many different voices saying "Welcome to Collidoskope".